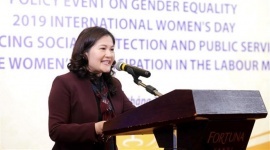 Before signing the joint statement, Minister Dao Ngoc Dung and Premier of Thuringia Bodo Ramelow had a meeting to exchange information and the situation of their current cooperation. 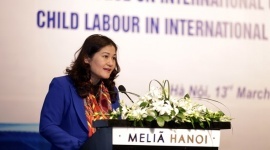 According to Minister Dao Ngoc Dung, Vietnam's labor were hard-working and intelligent. 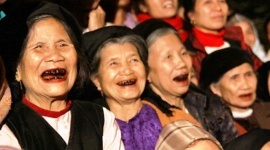 In addition, the demand for vocational training, especially in the high-tech fields of Vietnam, was high because of the young and abundant labor force, however the inadequate training was not enough compared to real needs. Mr. Bodo Ramelow said that the current strong German economy also relied on an important vocational training system. The "Dual" vocational training system in Germany was a form of theoretical and skills learning at the training and practice center of the enterprise for 3 to 3.5 years, depending on the study. The state only provided frame conditions and businesses must provide training forms and modes of operation for a specific product. “The training of human resources for Vietnam is not a one-way street but we want to give a good impression to Vietnamese youth when they come to train in Thuringia. 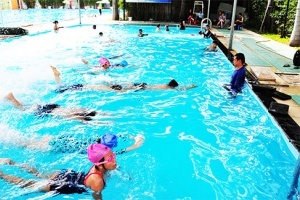 Vietnamese students training in Germany will have the best conditions for living and studying. When they have the skills and qualifications, they will build the friendship between the two sides. Besides that, companies in Thuringia are very interested and eager to research and invest in Vietnam, thereby specifying and promoting strategic partnerships between Vietnam and Germany ”- Shared Mr. Bodo Ramelow. Firstly, appreciate the initiatives of Thuringian businesses and business associations, the chamber of commerce which encourage young people from Vietnam to complete vocational education training in Thuringia. 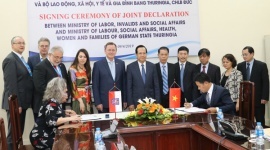 Secondly, Thüringen enterprises' contractual conditions for Vietnamese apprentices must comply with German law and equivalent to the German apprenticeship in that business itself. 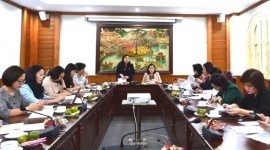 Thirdly, the Ministry of Labor, Social Affairs and Health, Women and Families in Thuringia will provide support programs for young apprentices from Vietnam in the process of integration with the new environment. 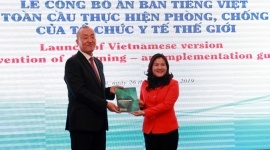 Fourthly, the two sides are ready to assist Thüringen businesses and associations of businesses / chambers of commerce to organize necessary foreign language and cultural training courses in Vietnam for young people’s further study vocational and vocational education in Thuringia. Fifthly, young people from Vietnam completing education in Thuringia are a contribution to strengthen the economic and cultural relations between Vietnam and Thuringia in the future.